The exact number of landmines is unknown. 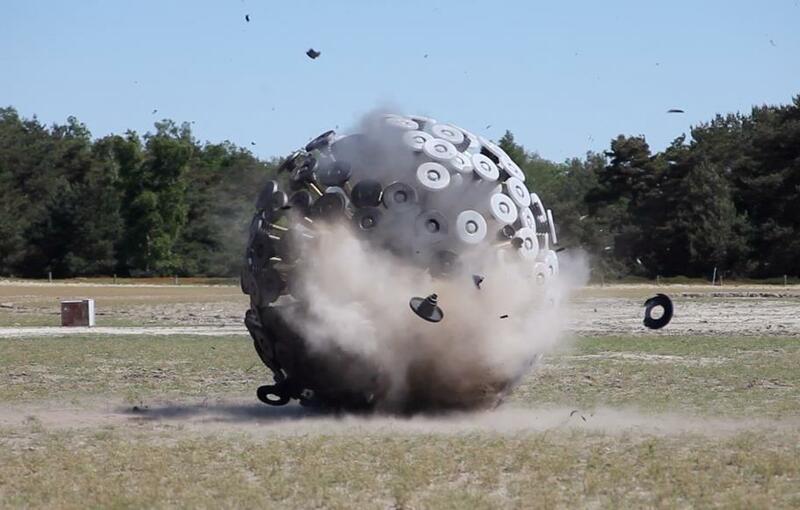 However, it is estimated that millions of landmines and other ‘unexploded ordnance (UXO)’ are buried in more than seventy six countries and territories. 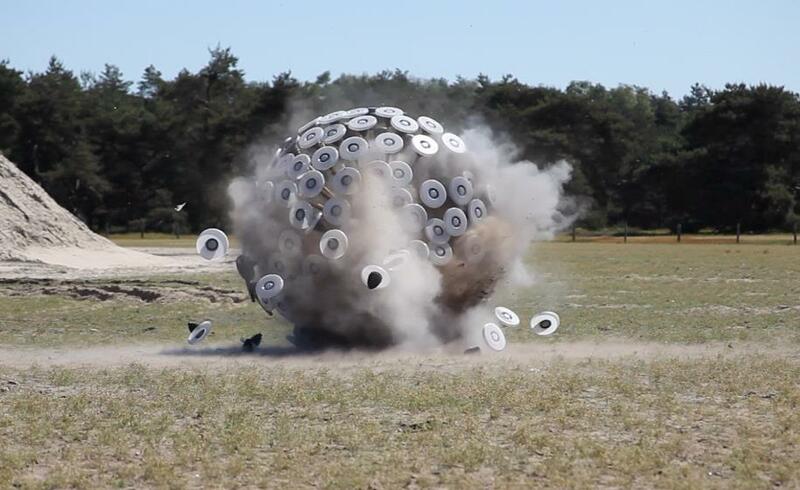 The landmines can remain active more than fifty years after they are planted in the ground. The problem is probably the most acute in Afghanistan, laden with an estimated 10 million mines, and therefore one big minefield, turning even a little outing into a Russian Roulette,. Its capital Kabul is the most heavily mined capital city in the World. Grazing lands, waterways, schools, paths, villages and cities are infested with mainly Anti-personal mines that are responsible for depopulating vast tracts of the countryside, affecting food supplies into the cities and crop harvests. 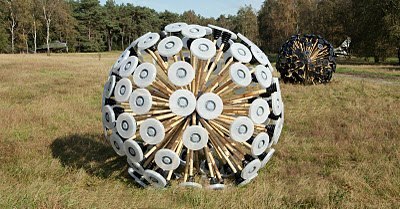 The minesweeper which Massoud Hassani designed as part of his graduation research on air, fire, earth and biomimicry at the Design Academy Eindhoven, is different from all others, and not just because it shows biomimicry at its finest – reminiscent as it is of a giant clump of feathery, white dandelion seeds – but also because as a decommissioning device, it might offer a much cheaper solution compared to the already existing ones. 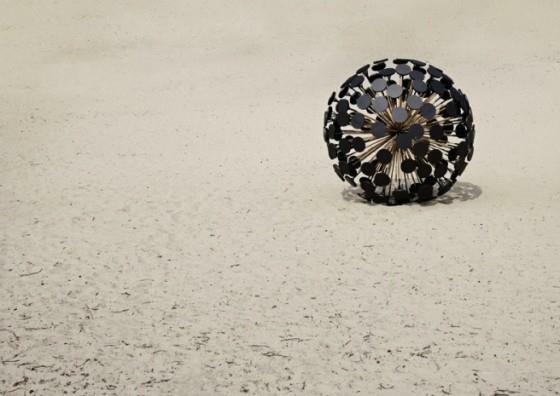 The Mine Kafon took its inspiration from memories of the toys Hassani developed as a child in Afghanistan: “One of my favorite toys was a small rolling object. It was powered by the wind. My brother and I used to race against the other kids on the fields in our neighborhood. There was always a strong wind, and our toys rolled way too fast and too far. Mostly they landed in areas, where it was impossible to retrieve them, since they were full of landmines. The friends we lost are still on my mind. After 20 years, I went back to my childhood and made those toys all over again, but 20 times bigger, heavier and stronger.” Powered by the wind, the Mine Kafon that resulted might well be described as a design that returns for revenge: it is meant to roll about, detonating any mines in its path. 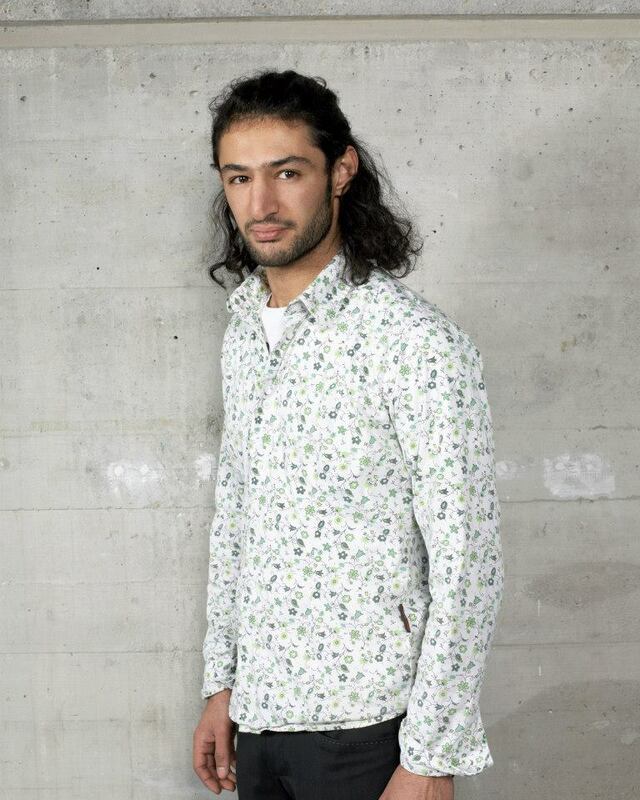 Born in Kabul, Afghanistan, Hassani also lived in Pakistan and Uzbekistan, before migrating to the Netherlands in 1998. There are 10 million landmines registered, maybe more unknown. 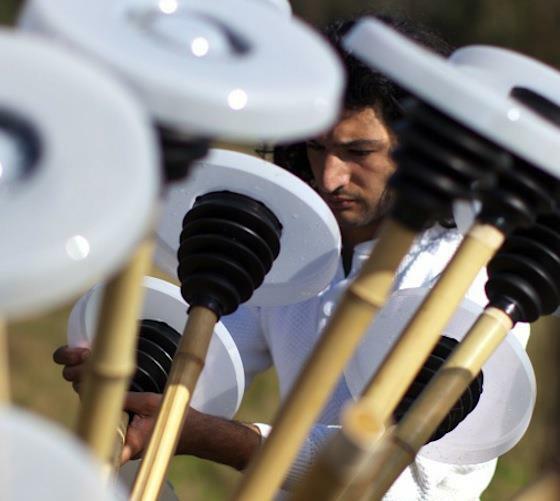 The Mine Kafon consists of a heavy plastic and biodegradable core containing a GPS (global positioning system) tracker, and attached to bamboo sticks with plastic feet at their end that enable the device to ‘walk’. 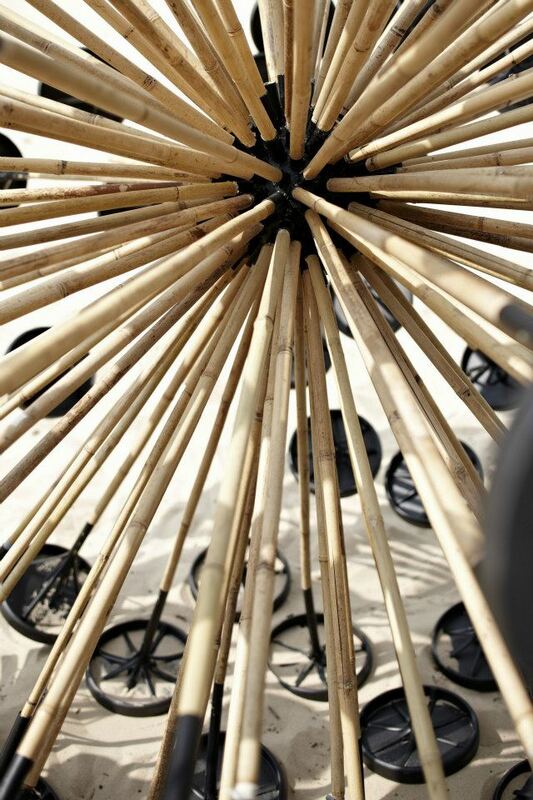 Wind-blown, the bamboo ball loses spikes each time it touches upon and a landmine and brings the device to explosion. The onboard GPS can map areas that have been cleared of mines. 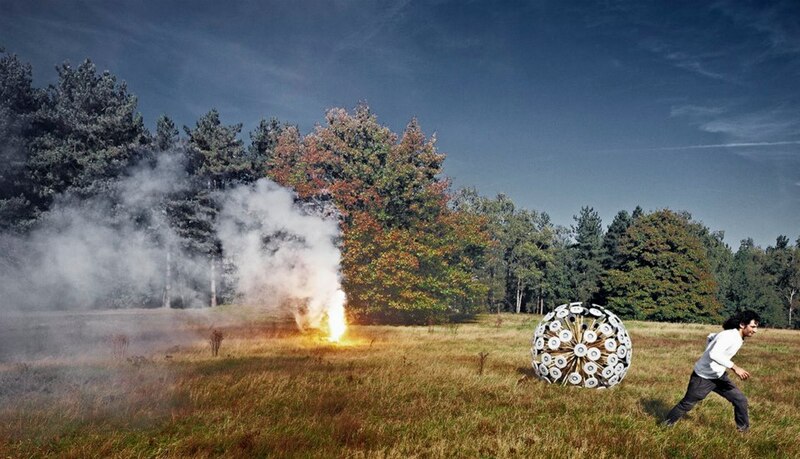 Built out of inexpensive, prefabricated materials, the Kafon costs around 50 Euros, incredibly cheap compared to the 700 Euros it usually costs around to deactivate a single landmine, while the cost of repairing or replacing is also far lower than with traditional mine clearing devices. But its greatest asset is no doubt the poetry of its look, its lightness of being, in deep contrast to its heavy task, and the cruelty it has to combat.